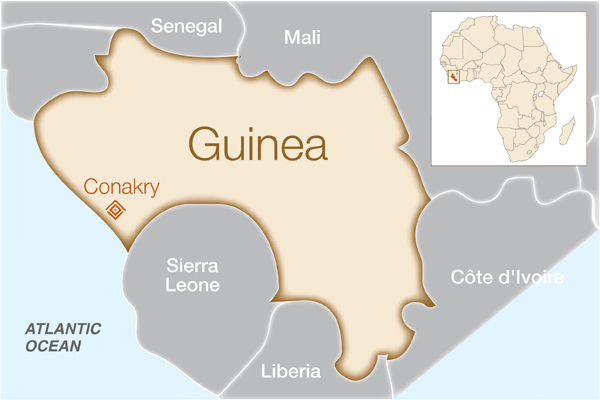 Why Do We Work in Guinea? In Guinea, a woman’s lifetime risk of dying in childbirth is 1 in 30. Many women deliver without medical assistance, most commonly in rural areas, where 64 percent of the population lives. 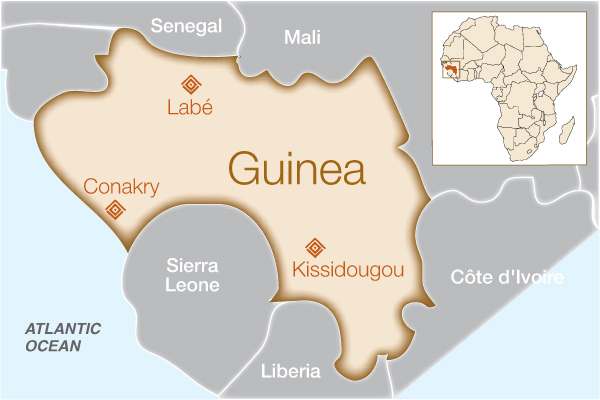 Nearly half of Guinea’s people survive on less than $1.25 a day. In addition to general poverty, pockets of conflict and political unrest, poor weather conditions, and an influx of refugees from neighboring countries have also had an effect on women’s access to quality health care in Guinea. Two of the biggest challenges related to fistula care in Guinea are inadequate facilities and difficulty in identifying patients. There are a small number of hospitals in the country with the capability to treat fistula; however, these facilities are severely limited in the number of surgeries they can perform due to insufficient training—most surgeons can only operate on simple cases of fistula—and lack of even the most basic supplies, such as medication and surgical instruments. It is also difficult to identify patients in rural areas and convince them to seek treatment due to lack of awareness, high transportation costs, and the isolating social stigma attached to their condition. We provide grant support to National University Hospital Ignace Deen and Centre Médico Social Djigui Espoir through Women and Health Alliance International (WAHA). We provide grant support to Kissidougou District Hospital, Labé Regional Hospital and Jean Paul II Socio-Medical Center through EngenderHealth. How will this help women in Guinea? Women and Health Alliance International (WAHA) has been working in Guinea with the overarching goal of supporting maternal and child health. Initially providing fistula services through National University Hospital Ignace Deen, located in the capital city of Conakry, they have expanded their program to include a second facility, Centre Médico Social Djigui Espoir, also in Conakry. Since 2013, support from Fistula Foundation has enabled Ignace Deen Hospital to renovate its urology and fistula ward and purchase critical medical supplies and equipment. In addition to funding surgeries, Fistula Foundation has also supported WAHA’s training program for local surgeons, equipping them to handle more complex cases of fistula. Another important component of support from Fistula Foundation is outreach. The hospital is expanding its community mobilization and outreach campaigns with the goal of reaching more women and informing them that free treatment is available. They also engage in dialogue with communities to address the social stigma attached to fistula and provide accurate information in an effort to raise awareness and establish social support networks for fistula patients before and after surgery. EngenderHealth has been supporting obstetric fistula programs at three hospitals in Guinea since 2006, providing women in the rural areas of Kissidougou, Labé and the capital city of Conakry with obstetric fistula repair services. But the overwhelming need in the area has meant that less than two-thirds of women seeking treatment were able to actually receive treatment due to lack of funding. This is where Fistula Foundation comes in – we provide supplemental funding for more surgeries and more training for surgeons at these hospitals. 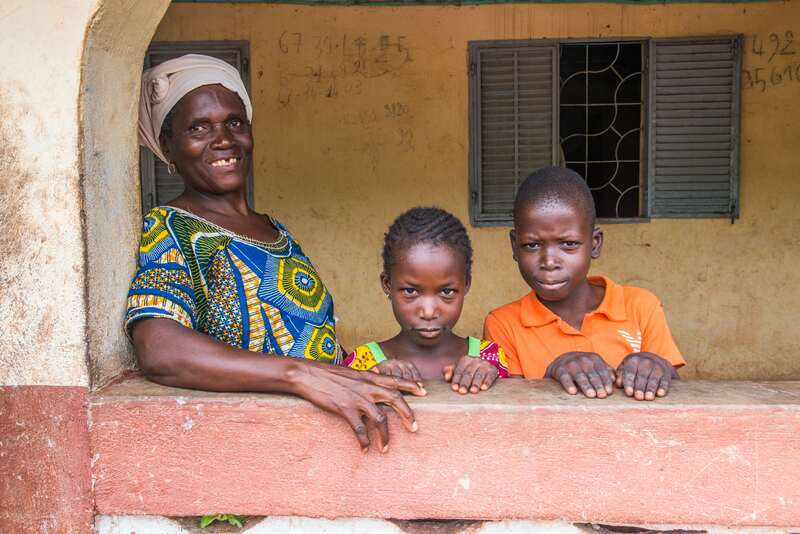 Our goal, in partnership with EngenderHealth, is to ensure that every woman who comes to these hospitals receives treatment, and that more women suffering from fistula will be identified in villages and towns across Guinea and referred for treatment. Sources: CIA World Factbook; WHO, UNFPA.